With state-of-the-art infrastructure facilities, we are engaged in offering a large gamut of Potassium Humate Granules. These products are finely formulated by the team of skilled professionals to render maximum client satisfaction. Additionally, we also assure to deliver our products in a committed time frame. 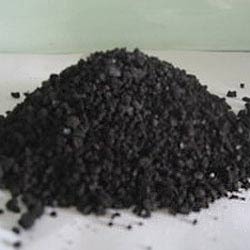 In the series of our products, we are engaged in manufacturing, supplying and exporting a quality range of Potassium Humate Granules. These increase strength of plant and also improve immunity power of crop. Our products are highly appreciated for their purity, superior quality and longer shelf life. Moreover, we also assure timely delivery of our products. Looking for Potassium Humate Granules ?